Yesterday I ran into a friend I hadn’t seen in a few months; we only had a few seconds to talk but he let me know that he had lost his job a couple of months ago. Another buddy of mine was given word that his job would be gone by the end of this year. For what it’s worth, both men have families to support. We hear stories of people losing their jobs all the time, so these episodes are hardly unique. But what is interesting is that both men were what you might call “well employed” – that is, each had a well-paying position with a large, well-known company that they had worked at for many years. The moral of the story is that there are no safe jobs anymore. Anyone in nearly any job can be replaced either by some form of new technology, or by less expensive workers outsourced from overseas. This is happening with technical and managerial positions as well as clerical and factory jobs. There are different ways to deal with employment instability and no matter how secure your job seems to be at the moment, you should consider investigating your options. And the time to do that is now, before you’re forced into it by a job loss. Many people concentrate on building up their savings as a safety net in case of a job loss. That’s a good idea, however it’s not nearly as effective as it once was. In an economy where it can take months or even a year or more to find a new job, a two or three months savings cushion just won’t be enough. Unless you can save enough money to cover your living expenses for a year or more, savings will do little more than give you a little bit of breathing room. Not that that’s a bad thing, but it will prove to be inadequate if the job loss turns into a long-term process. What about unemployment insurance? There are two limitations with this, the first is that for most people, the amount of your benefit won’t come close to covering your living expenses. The second is that unemployment benefits only run for a few months. Like savings, they’ll help at the beginning but sooner or later, they will run out too. 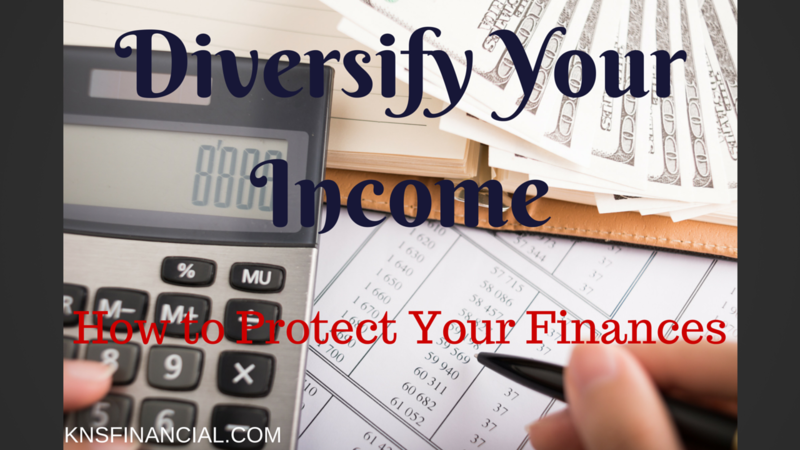 Build up your savings in case of a job loss – but be ready with additional income sources. Savings will cover you in the months immediately following your job loss, but your additional income sources will be your long-term safety net. One of the best ways to be prepared for the loss of your job is to have another one ready. You may be able to do that with a part-time job. I’m not talking on a job pumping gas or serving lattes, but something more substantial. Ask yourself the question, “If I didn’t have my current job what other kind of work would I do?” The answer to this question can provide you with the insight that will lead to the type of part-time job you should get. What you’re looking for here is a part-time job that will lead you into the career of your choice, or at least into one that could be a reasonable back-up career. .
By taking such a job on a part-time basis your accomplish at least two things: 1) you get the training and experience that you need to enter that field, and 2) you pre-position yourself in a job before you actually need one. The goal will be to convert the part-time job into a full-time one if you can’t find a replacement job in your primary career. One of the problems with job losses is that they usually occur across an industry or even an entire career field. That makes finding a replacement job very difficult because not only are there a small number of jobs available, but there are also a lot of candidates applying for those jobs. Many people are having to change fields following a layoff. With a serious kind of part-time job, you already have a replacement career waiting in the wings. The transition is shorter, smoother and easier because of your advanced efforts. A similar alternative could be starting your own business. Choose a business that you would like to enter and/or one you have an aptitude for. You can begin it as a side venture and develop it at your own speed. The idea is to build up gradually so that if you do lose your job, you’ll be able to quickly convert the business into a full-time occupation. Whether it’s a part-time job or a part-time business, not only will you be building a second career for yourself, but you’ll also be providing an extra income that you can put into savings. The combination of higher savings and a backup income source will leave you well prepared for whatever happens after losing your primary job. Retraining is another option. Even though some fields are in decline, there are others that are going strong or are in growth phases. Sometimes all you need to enter them is some formal training. This could be a degree program, technical training or just some courses that you might be able use as a springboard into another career field. Check with the course offerings at your local community college. They often offer training in career fields that are what you might call “closer to the ground”. This might include fields that are more hands-on in nature, such as those in the medical and computer fields, as well as some of the trades. Those are the type of occupations that tend to do well no matter what else is going on in the economy. Whether you decide to use a part-time job, part-time business, or some form of retraining, seize the opportunity now to prepare for a job loss that may come later. If the job loss never happens, you’ll have yourself a solid second income. But if it does happen, you’ll be ready for it.